The Marvel Cinematic Universe has been lead by Iron Man, Captain America, Hulk, Black Widow, and Hawkeye for many years. Countless things have happened to them and now that their biggest battle is less than a month away, some fans might not remember the path they took along the way. There is a reason why the original Avengers were not snapped away, and only their history can reveal it. Let’s walk down memory lane! ‘Iron Man’ premiered in 2008, and Robert Downey Jr. wowed audiences with his portrayal of the arrogant Tony Stark, who got away with things thanks to money. However, after getting kidnapped by the Ten Rings, he made his first armor to escape and became a hero. Since then, he has faced villains such as Iron Monger, Whiplash, the Chitauri, Aldrich Killian, and Ultron. Furthermore, while Tony was never relatable, his development from uncaring billionaire to a superhero was beautiful. He fell in love with Pepper Potts and became a father figure for Peter Parker, which would have been unimaginable during his first appearance. Additionally, thanks to Wanda’s powers, he saw the future Thanos wanted and strived to prepare for it. The Mad Titan even knew that Iron Man was different than his other opponents. Hulk’s story has been a bit weird in the MCU. During his first solo film, Bruce (Edward Norton) was on the run from General Ross and in love with his daughter, Betty Ross. By the end of the movie, he seemed alright with the idea of Hulk. Years later, Mark Ruffalo took on the role of Banner, but the Hulk had taken a step back in his development. Neither guy was fine with the other. During ‘Age of Ultron’, he and Black Widow started a love arc, which stopped when Hulk took the Quinjet and flew away. In ‘Thor: Ragnarok’, Marvel advanced his plotline further with a lot of screen time for the big giant. However, in ‘Infinity War’, Bruce was left alone because Hulk refused to appear. Their story should have its climax during ‘Avengers: Endgame’. Sadly, Natasha has yet to have her own solo film, which should come out in the next couple of years, but she still holds an important place in the Marvel lineup. She might not have special superpowers like the others, but Natasha has definitely been invaluable for the team. Her first appearance was in ‘Iron Man 2’ as a spy for S.H.I.E.L.D. Black Widow showed her abilities like taking down Tony without much effort and infiltrating Hammer Industries easily as well. During 2012’s ‘The Avengers’, she played a huge role in the Battle of New York as she closed the portal with Loki’s Scepter. Her parts in ‘Age of Ultron’, ‘Civil War’, and ‘Infinity War’ were just as impressive, and she has appeared prominently in the ‘Endgame’ trailers. Her role should be just as important as Cap’s. Thor is definitely one of the most popular guys in the franchise, especially with the ladies. During ‘Thor,' the "God of Thunder" was exiled to Earth where he learned a lot about humility, love, and the destruction that war can bring on innocent people. He joined the Avengers during the Battle of New York, defeated the Dark Elf, Malekith, helped stop Ultron, and embarked on a mission to find the Infinity Stones. Things took a real turn for him in ‘Thor: Ragnarok’, which added a comical tone to the otherwise serious film about the loss of Mjolnir, the death of Odin, and the destruction of Asgard. In the end, Thanos intercepted their spaceship, and set the stage for ‘Infinity War’. He saw many of his friends die in that last one. However, Thor got Stormbreaker, which can summon the Bifrost and was able to injure Thanos. ‘Endgame’ should feature an epic battle between them. 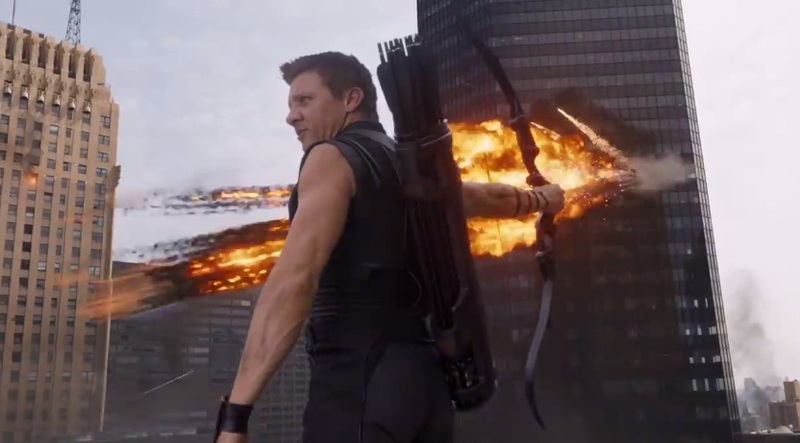 Clint Barton is another character that has been developed through cameos and small roles. Additionally, he does not have extraordinary superpowers like others in the team. He first appeared in ‘Thor’ as part of S.H.I.E.L.D., but Loki brainwashed him with the Mind Stone, but once free, Hawkeye fought with the Avengers during the battle against the Chitauri. During ‘Age of Ultron’, fans met his family, which added a layer to his characters. After ‘Age of Ultron’, Barton retired from the team but returned for ‘Civil War’. He ended up on house arrest after that mess just like Scott Lang. His sentence should have ended at the same time as Ant-Man’s, which was sometime before the snap. ‘Endgame’ trailers have shown him pissed off at the world, and he probably took the mantle of Ronin. 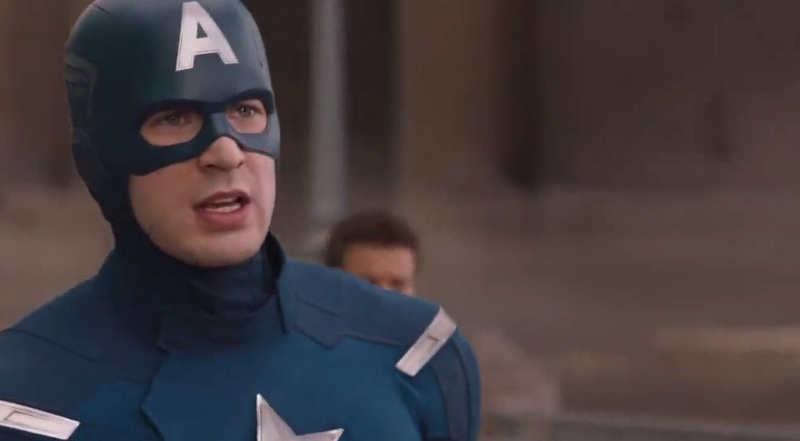 While he might be considered the first Avenger, he was the last one to appear in the MCU. His first solo movie came out right before ‘The Avengers’, and it showed his path to becoming a super soldier. He stopped Red Skull from using the Tesseract for evil and joined the Avengers many years later for the same thing. He is the leader and the heart of the group. He joined Black Widow and Sam Wilson to stop HYDRA’s infiltration of S.H.I.E.L.D. during ‘Winter Soldier’, saved the world from Ultron, and fought for what was right during ‘Civil War’. He also protected his friend, Bucky, from Tony’s anger and became a fugitive. He reappeared in ‘Infinity War’ to fight against the Black Order. His journey has also been about self-discovery, and he will do the right thing to save the world. The original six Avengers have had their personal origins told in the MCU one way or another, but their team has also been a huge part of the franchise. ‘Captain Marvel’ revealed that Fury thought about the “Protector Initiative” in the 90s after discovering that aliens existed and had better weapons than any one on Earth. He renamed it “The Avengers Initiative" because that was Carol Danvers’ call sign in the Air Force. ‘The Avengers’ showed that the group got together but did not trust each other until Agent Coulson “died”. It is hard to gather all of those different personalities and not have any problems. We loved Tony and Cap’s banter, which was a forewarning for ‘Civil War’, but once they got on board with the initiative, they managed to save the world and even New York City from a missile. The second ‘Avengers’ film came out almost a whole phase after the first one, and it showed how afraid Tony Stark was about the prospect of another invasion. After recovering Loki’s scepter from HYDRA, he and Banner used it to move forward with the "Ultron Program." Unfortunately, things backfired because of the Mind Stone, and another enemy was created. ‘Age of Ultron’ is not everyone’s favorite entry into the MCU, but it helped move along the story for the next ones. The team even grew with Scarlet Witch and Vision, who will be getting a series on Disney+ soon. Furthermore, it showed another Infinity Stone to move along the Thanos’ plot, and Thor saw visions of the gems while Tony was horrified by what he saw after Wanda tricked him. After struggling for harmony within the team and fighting against enemies all over the world, a difference of opinions and underlying tensions caused problems with the Avengers. Hulk was in Sakaar, while Thor was in space as well. The rest of the team fought against terrorist in Sokovia, but the destruction prompted the Sokovia Accords, which Cap refused to sign. He also wanted to protect Bucky because he was framed for the attack on the U.N. building that killed King T’Chaka. However, the government wanted to control what the “vigilantes” could do, and Tony wanted to do it after the mistake of Ultron. The group had a huge battle in an airport, and half of them became fugitives of the law. The entire team showed up once again when Thanos appeared, and things did not go according to plan. The Avengers were separated into different teams with newer characters like the Guardians and Black Panther. Even though all those groupings were pretty powerful, the Mad Titan still managed to obtain all the stones. By the end, Tony was left on Titan, and the remaining Avengers were on Earth with no idea how to proceed after the Decimation. Fans are obviously wondering if the team will be back together for ‘Endgame’, especially after Tony and Steve’s fallout. 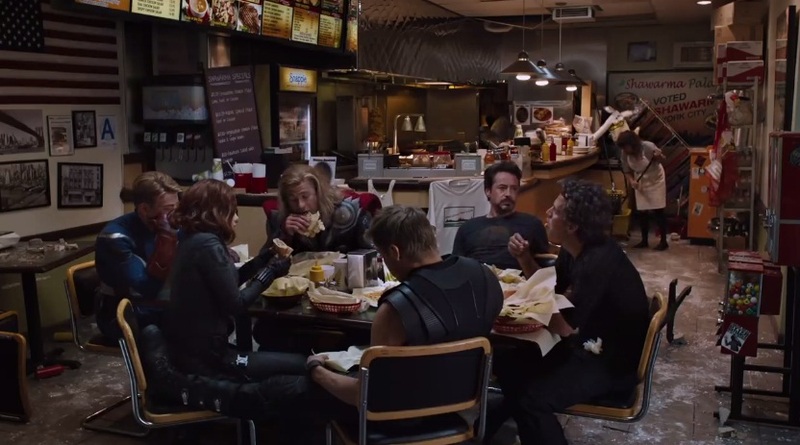 Therefore, ‘Endgame’ should feature the Avengers back in business for the first time since Phase Two. “But we thought, 22 movies in, wouldn't it be fun to bring some finality to the storyline?" Just the fact that the creators of the franchise see ‘Endgame’ as the finale of the first phases in the MCU is important. It is very likely that the Avengers – the original six – will be the most prominent characters. They were unaffected by the snap and have been vital in all the promotional material released so far. They started the ‘Infinity War’ saga, and so, they should end it as well. This storyline might finally be ending after 11 years, but the Marvel Cinematic Universe is nowhere near done. ‘Spider-Man: Far From Home’ premieres shortly after ‘Endgame’, and there should be sequels for other characters like Black Panther, Doctor Strange, and Captain Marvel. Furthermore, Disney’s recent acquisition of 21st Century Fox also means the introduction of X-Men, Deadpool, and possibly the Fantastic Four. There are a million options for Marvel in the future, but they have to end this saga in an amazing manner. Moreover, they have to say goodbye to heroes like Captain America and Iron Man in order to welcome Carol Danvers, T’Challa, and more as the new faces of the Avengers. Entering Phase Four will be bittersweet for many fans, but the MCU will probably continue for the rest of our lives. Endings are always sad, but new stories need to be added to keep things interesting. We just hope that whatever happens, they make sure to honor the superheroes we have loved for so long. Let us know what you think will happen in ‘Avengers: Endgame’. If you liked this article, share it with your friends who are dying for the premiere. See you next time!